The Church of God in Christ (COGIC), the first major denomination to spring from the fires of the Azusa Street revival, profoundly affected the history of the black church. Its tremendous influence can be traced to the dynamic spiritual life of its founder, Charles Harrison Mason. 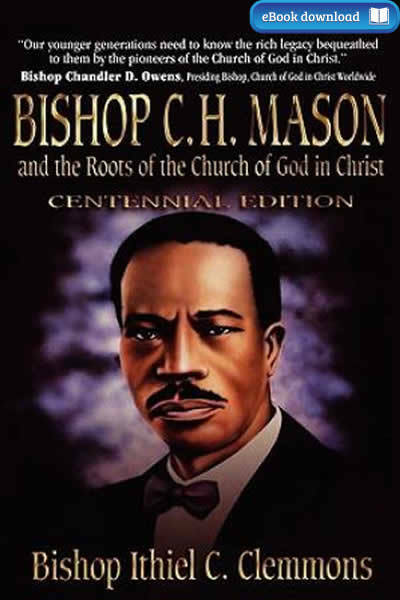 The son of a slave and a leader in the holiness movement of his day, Mason traveled to Azusa Street in 1907 where he received the baptism of the Holy Spirit. Returning home, he discovered that visions, spontaneous healing and deliverance followed him. A new power accompanied his preaching, and he experienced freedom from former limitations. Mason’s vibrant spiritual life enabled him to lead a fledgling movement from its infancy to a powerful, prophetic community over the next fifty years. Beginning in the rural South in the decades following the Reconstruction Era, the denomination gradually moved into urban areas during the 1900’s. No matter where its ministers, however, the COGIC Church holds in tension the dynamics of holiness, spiritual encounter and prophetic Christian social consciousness. Facing the challenges of our generation, the COGIC Church desires to maintain the legacy of its founder as it prepares for another century of work and witness. "Church leaders would do well to emulate the dynamic spiritual life of our founder; Bishop C. H. Mason." Bishop O. T. Jones, Jr.
"Every pastor in our denomination and beyond should have a worn and wellread copy of this book." Bishop Charles E. Blake, Sr. Author:Bishop Ithiel C. Clemmons, Ph.D.